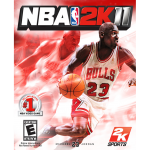 NBA 2K11 remains a favourite among many basketball gamers, and the PC version continues to receive community-made updates. Today’s file additions include a 2019 season court update for the Toronto Raptors, a Jordan Rec Center mod, and an update that freshens up the generic players in the D-League. Please see below for all the download links.